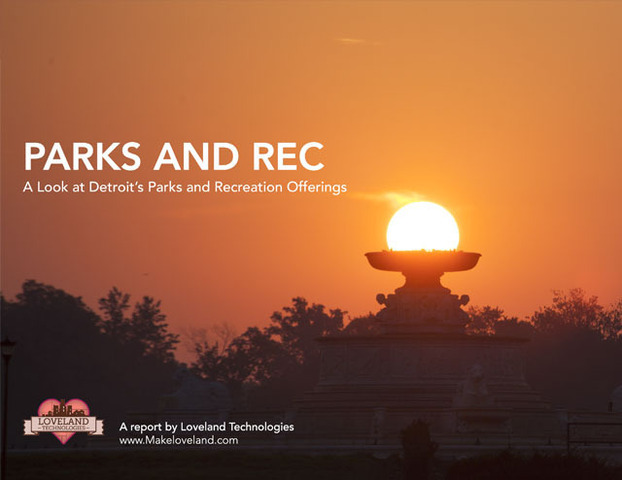 Parks and recreation areas make up some of Detroit's greatest assets, comprising over 4,700 acres of land in the city. Over the summer of 2015, Loveland surveyors visited over 300 of these and collected information about their condition, activities offered, maintenance and other topics of interest. Our findings show that recent increases in funding and support have resulted in improved maintenance of these parks and recreational facilities. After major Parks and Recreation Department budget cuts between 2005-2013, the lack of maintenance that followed is now being undone -- 90% of the city parks we surveyed are in Good or Fair condition. Though the city still faces some challenges in maintaining its parks, great improvements are being made that positively impact the communities served and the city as a whole. Check out all of Loveland's findings in the report, or explore the full results in the Site Control map below.